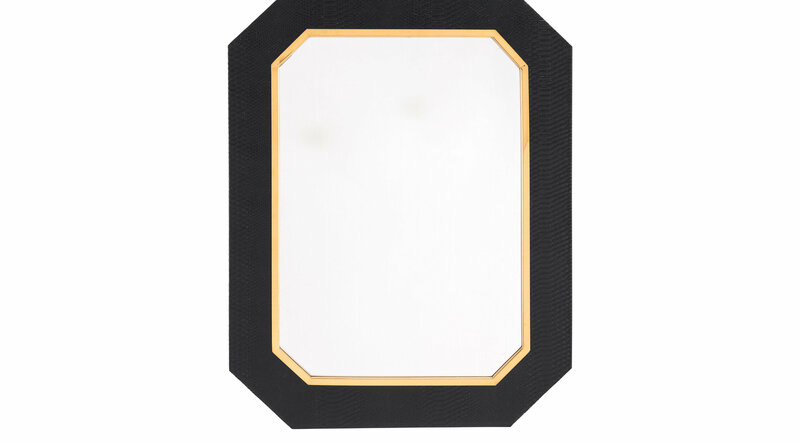 This dressed up octagonal mirror, in black faux snakeskin, adds a touch of glamour wherever it is placed. Hang it in your entryway, bathroom or bedroom for a little added lux. A gorgeous reflection of your good taste.